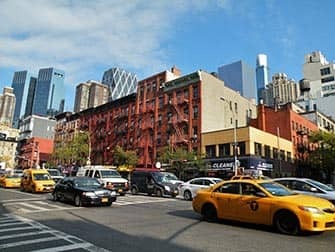 Hell’s Kitchen in New York used to be a bad area, but stands out nowadays because of its abundance of nice little bars and restaurants. No New Yorker knows the real story behind the name, but there are many interesting theories about it. The neighbourhood is also known now as ‘Clinton’ or ‘Midtown West’. The latter actually describes the precise location of the area: Midtown Manhattan, between the Hudson River, 59th Street, Eighth Avenue and 34th Street. 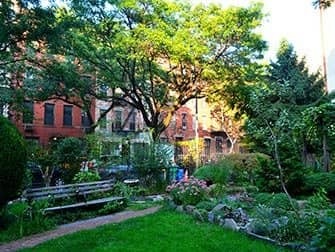 Its very location makes it a great place to stay when you’re here, with Central Park and the Broadway theatres in your backyard. This place is a melting pot as melting pots are meant to be: a neighbourhood where elderly, families, yuppies, creatives, homo- and heterosexuals all happily live together. 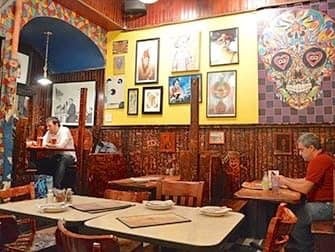 Despite – or maybe even due to – the high cost of living, there are plenty of affordable restaurants and bars. 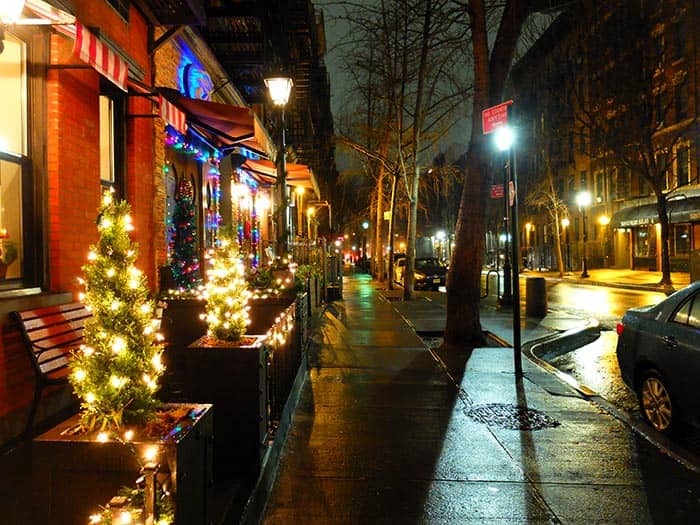 Particularly 9th Avenue, which is great for having dinner and a couple of drinks. 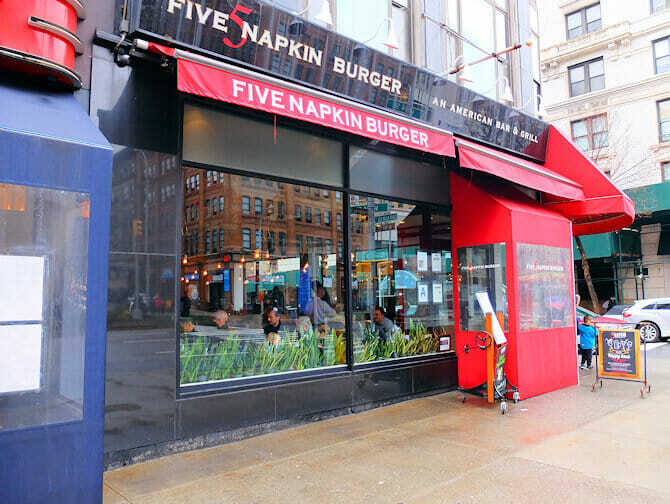 The cuisines and the prices are as exotic and varied as the people living in this area: ranging from Irish to Afghan, from truly expensive Wagyu steak to one-dollar pizza slices (at Port Authority Bus Terminal!) and from Memphis to Marseille. 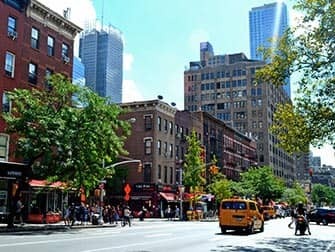 Hell’s Kitchen is also known as ‘gaybourhood’, with its exuberant nightlife and high number of gay people. You’ll find the vast majority of New York gay bars here, plus the world’s very first ‘straight-friendly’ hotel. A homotel so to speak, although ‘heterosexuals are welcome as well’: The OUT NYC. There is an abundance of actors living here, so close to Broadway. However, it’s the thriving gay scene that makes this a unique and vibrant part of town. 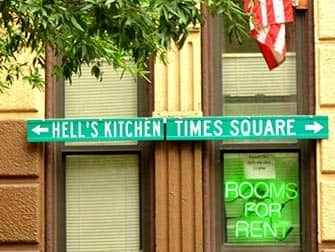 As a matter of fact, Hell’s Kitchen does also have its own Theatre Row on 42nd Street, six historical theatres in total.